Good dental hygiene is just as important for your pet as it is for you. 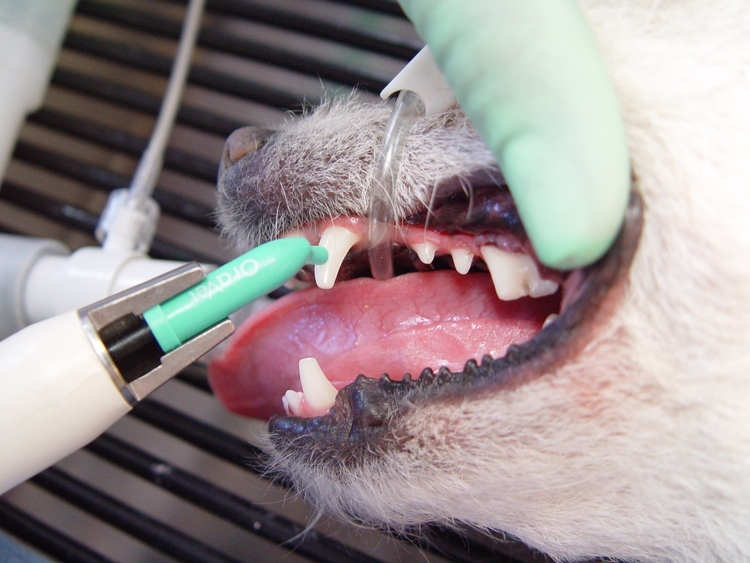 Dogs and cats are susceptible to a variety of dental issues that can leave them extremely uncomfortable. Often pets express no discomfort until the condition is severe, leaving owners unaware of their pets pain and suffering. 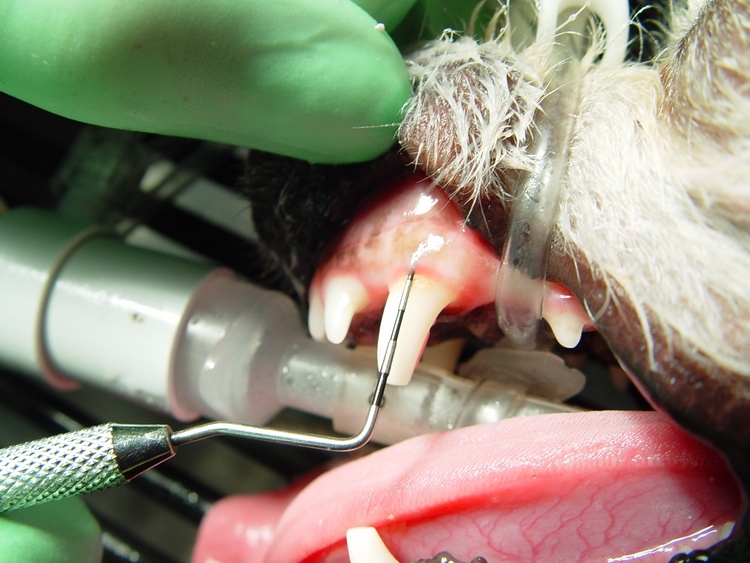 If left untreated, your pets periodontal disease may also develop into chronic life-threatening conditions such as heart valve or kidney disease. With regular dental exams and cleanings, these issues can be prevented. 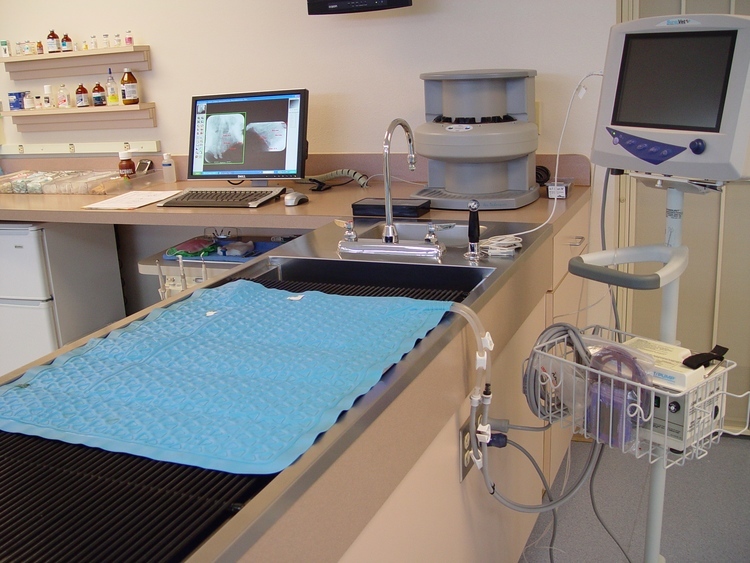 Here at Eastpoint Pet Clinic, we strive to provide the best dental care possible. The following is an example of our standard dental procedure. 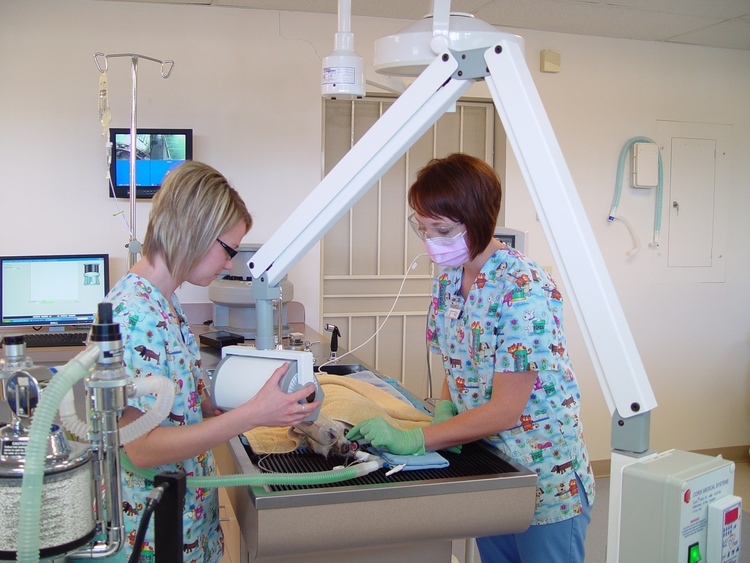 On the morning of your pets dental procedure, the doctor begins by performing an oral exam. Any obvious problems are identified and discussed with you. 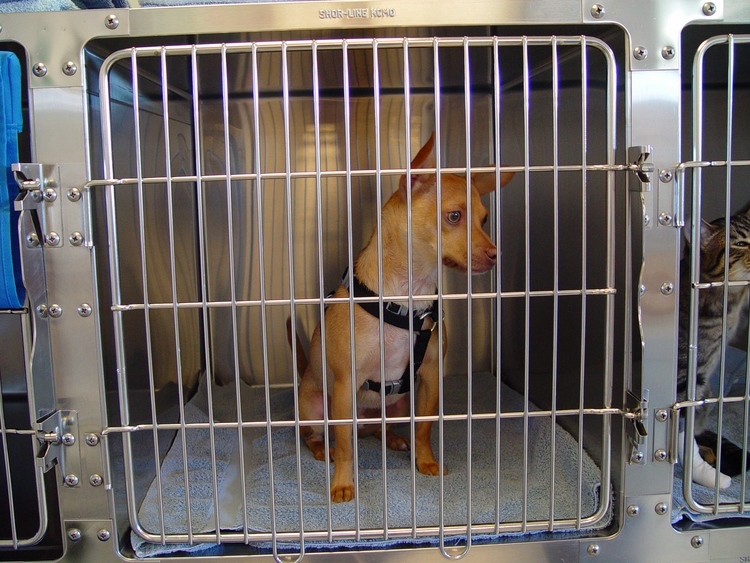 A light sedative is then given to help your pet relax in the kennel before their procedure. Please feel free to call at anytime throughout the day to check on your furry friend. Pre-surgical labwork is completed to address any potential problems that may arise during anesthesia. If labwork is normal, an intravenous catheter is placed to provide fluids throughout the procedure, as well as a route for certain medications. 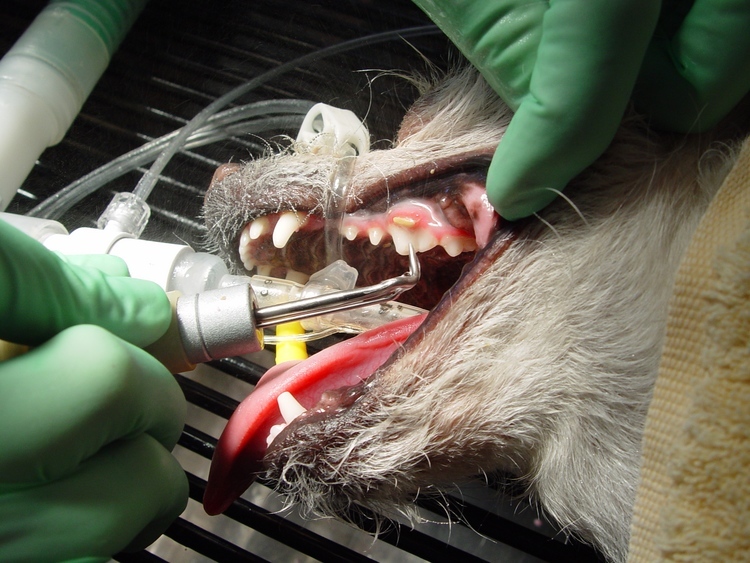 A general anesthetic is then administered. Next, your pet is placed on a circulating hot water pad to maintain body temperature. 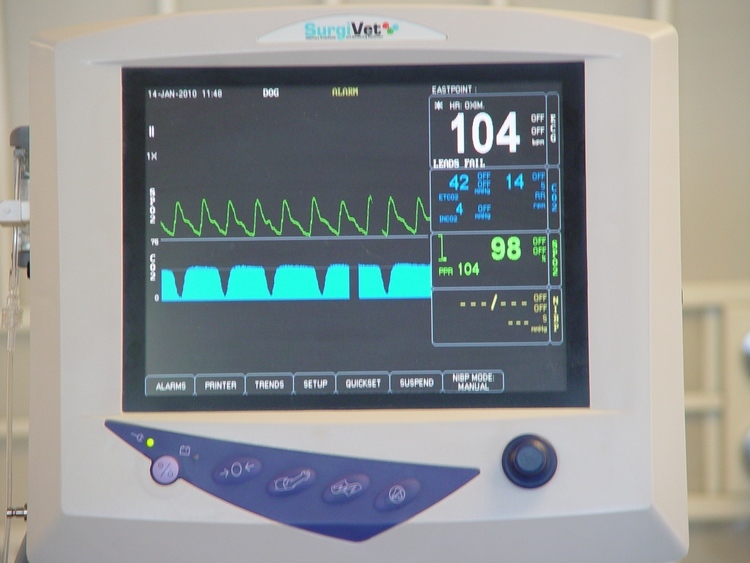 Instruments are positioned to continually monitor important vital signs such as heart rate, respirations and blood pressure. Often, small patches of hair need to be clipped for vein access as well as proper placement of monitoring equipment. 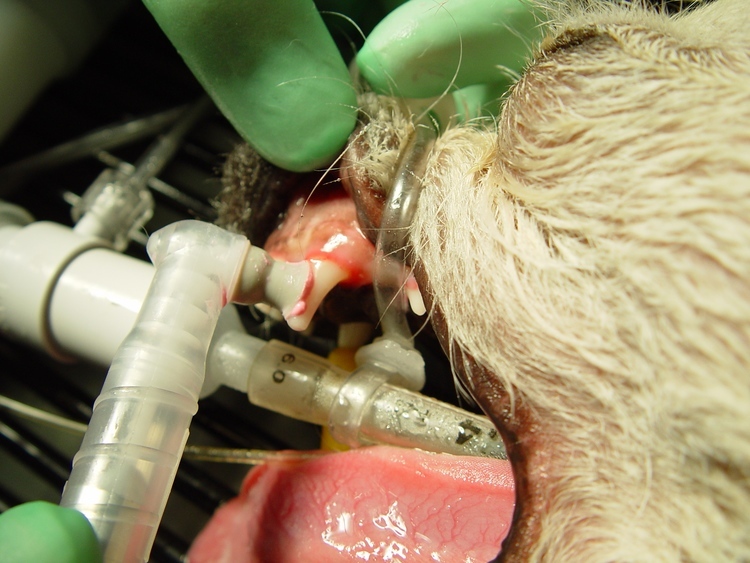 Next, dental radiographs are taken of the entire mouth. These images provide us with a more thorough assessment of each individual tooth. Often a tooth may appear normal upon gross examination, however radiographs may reveal unforseen problems. 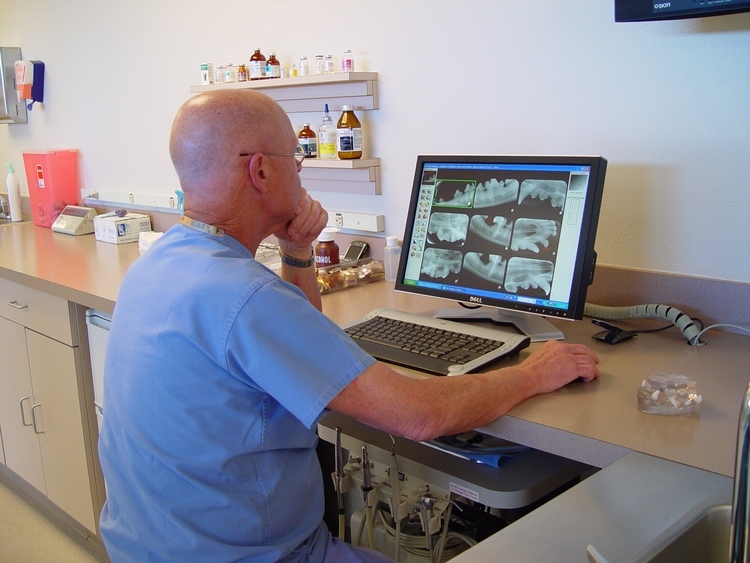 As the doctor reviews the dental images, the technician begins a thorough assessment of the mouth. 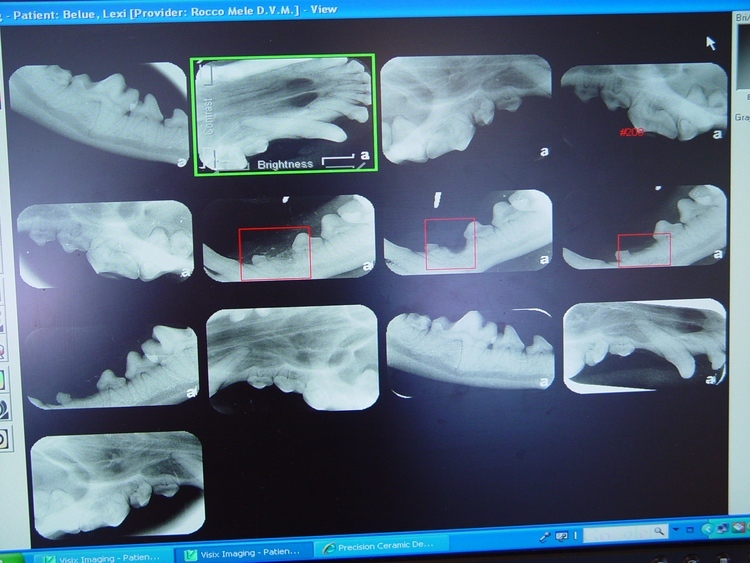 Any obvious concerns are noted on your pets dental chart. Dental probing is performed on each tooth to check for gingival pockets, which may be evident of a more serious issue. Next, the actual cleaning of your pets teeth begins. Using an ultrasonic scaler, all sides of each tooth are thoroughly cleaned both above and below the gumline. During this time, if any problem teeth were discoverd upon examination of the mouth and radiographs, the doctor will call you to discuss your options. After cleaning is complete, a flouride paste is used to polish each tooth. Polishing smoothes the tooths surface to help slow the accumulation of plaque. If necessary, any advanced dental procedures such as extractions or root canals would be taken care of at this time. The final step of the dental process is sealing. Merial's OraVet Ba rrier Sealent is a waxy material that is gently rubbed over each tooth to help protect teeth and gums from bacteria. When the dental procedure is complete, your pet is placed back into their kennel and closely monitored until fully awake and ready to go home. Now that your pets mouth is clean and healthy, there are several ways you can help to keep it that way. Regular at home brushing at least twice a week. The entire staff at Eastpoint Pet Clinic is dedicated to making a dental procedure as stress-free as possible for both you and your pet. From scheduling an appointment to at-home care, we are always available to answer any questions you may have.